Hours after Gorkha Jan Mukti Morcha (GJMM) chief Bimal Gurung threatened a 12-hour strike on 28 September over chief minister Miss Mamata Banerjee’s claim on Thursday that a budget of Rs 4000 crore has been sanctioned till now for the Gorkhaland Territorial Administration, Miss Banerjee hit back at the GJMM chief by declaring that no bandh will be allowed. “The Hills have their own natural colour which is vivid and mesmerising. But avoid the colour of blood. 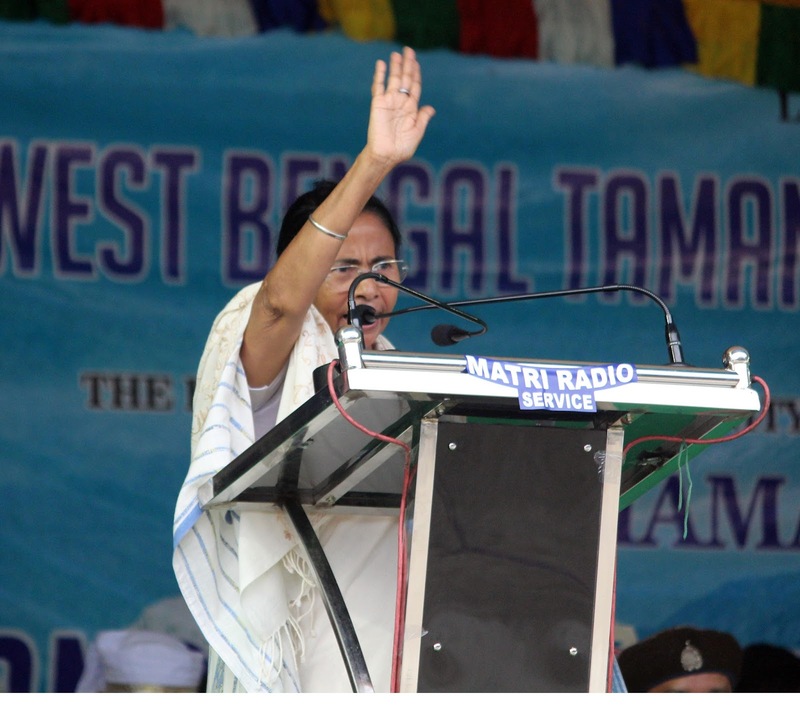 Bloodshed and violence will not be allowed across the Hills.We should check every instance of instability here in the best interest of the Hills people,”she said. Notably, a leader of GJMM had earlier said that state PWD minister Aroop Biswas will not be allowed to enter the Hills after he made some disparaging remarks about Mr Gurung. Further, in recent times there has been a lot of controversy on alleged statements having been made against certain communities in the Hills, directing them to leave Darjeeling. On the GJMM-levelled allegations that the setting up of various caste-based development boards is intended to create divisions in the Hills,Miss Banerjee opined that it is the incompetence of the concerned ~ referring to the GTA ~ which forced her to constitute these boards. “If you were initiating development projects here, I would not have to constitute development boards in the Hills. Miss Banerjee said. She maintained that she has always worked with a positive plan and each of her decisions is intended for the best interest of the common man. “I am in Hills with a plan. My plan is to develop the Hills. If Hills remain in peace, we will remain in peace... I want to see doctors, engineers, bureaucrats to come up from the Hills,” she added. 0 Respones to "No bandhs will be allowed in Hills:CM"